The Linda Luebke Strings Festival provides an extra opportunity for students to expand their musical knowledge. From the time students arrive to this two-day festival they are immersed in music education activities with the goal of helping them to improve their overall musicianship. Although we are serious about our curriculum with the students, the atmosphere is relaxed and full of fun. On Saturday night all students attend the Indiana State University Symphony Orchestra concert. The advanced ensemble will have an opportunity to perform with the ISU orchestra in a side-by-side. Parents are invited to attend. Sunday, the festival culminates with an informal recital for family and friends. During the festival students receive snacks, lunch both days, and dinner on Saturday night. All students get a Linda Luebke Strings Festival tee shirt. The festival is open to all strings student in grades 5-12, regardless of playing level. Most of our 5th graders are learning to play their instrument for the first time. Exceptions can be made for younger students on a case-by-case basis. On Saturday afternoon, teachers are invited to observe the workshop leader working with each student ensemble. This gives the teachers a chance to see the theory put into practice. In the past two years, we have expanded our reach, drawing students from other parts of Indiana, such as Bloomington, Elkhart, and Indianapolis as well as Ohio and Illinois. Our first festival had fifteen students. Our fifth festival grew to seventy students in attendance. 2018 will bring our exciting 6th festival and it has the promise of being biggest attendance ever. We hope you will join us! Dr. Linda Luebke served Indiana State University and the Terre Haute community from 2008 until her passing in 2013. As an assistant professor of music, she shared her lifelong passion for music education with hundreds of ISU students and Indiana music educators, and worked diligently to prepare aspiring young music teachers for the classroom. 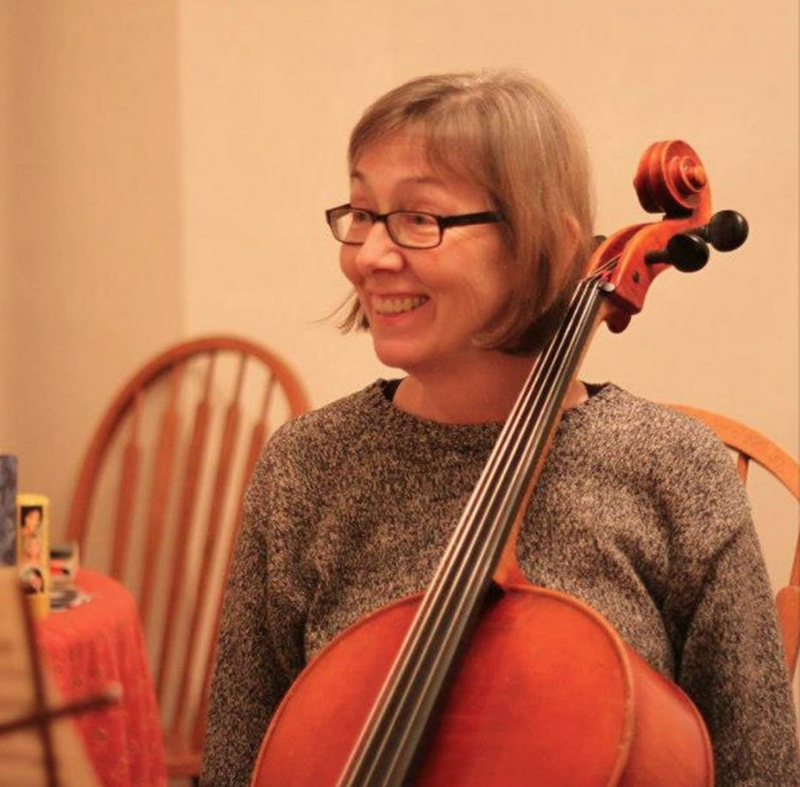 A skilled cellist, Dr. Luebke sought out the musical gifts in all around her. Her strong belief in the power of music and the arts to transform and improve lives inspired her work on behalf of many arts organizations, including a youth orchestra in Terre Haute. Dr. Luebke was a graduate of Marquette University, received her master's degree from Holy Names College in Early Music, and her PhD. from Gonzaga University. Prior to her career at ISU, Dr. Luebke taught elementary music for sixteen years, and received numerous awards and grants for her classroom work.